This Pueblo Revival Style home is a unique design built by Walker E. Bell in 1921. 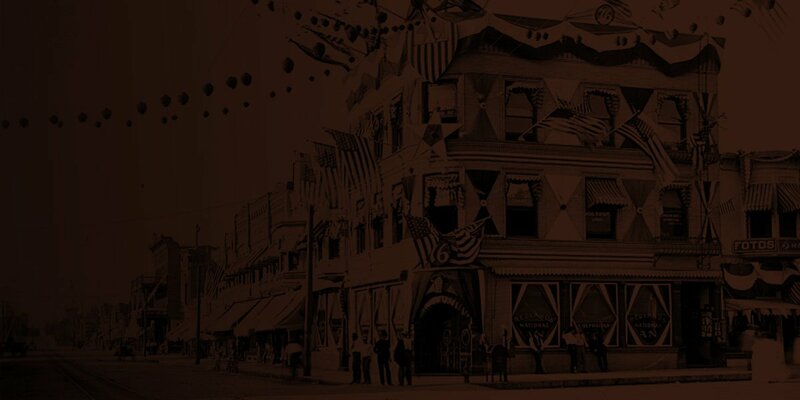 Mr. Bell worked for the Inland Theatre Company. The 1,720 sq. 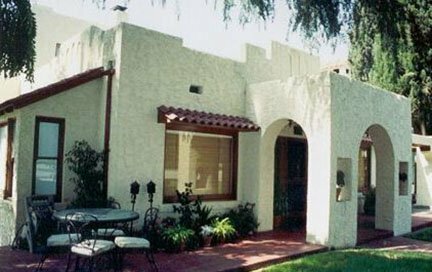 ft. two-story home features rough textured, hand stucco plaster, flat roof with stepped parapet, characteristic pueblo style rounded corners containing weep holes high on the exterior walls, a porte-cochère, and large bay windows with red tile hood overhang. The front of the house is symmetrical in design with a protruding front porch with arch openings leading to the front door.